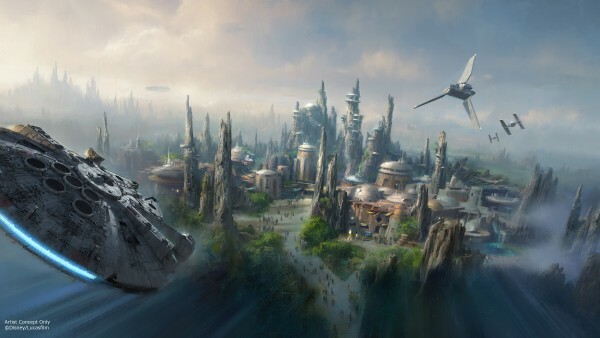 We have reached maximum hype: Disney Parks has just announced some of the new Star Wars experiences being added to Disney’s Hollywood Studios in Orlando, Florida. This is in conjunction with Disneyland’s “Star Wars: Seasons of the Force” campaign being launched in Anaheim. Some of the experiences coming to the Orlando location include a meet and greet section where fans can meet Chewbacca and Darth Vader (!) and an experience for kids featuring a revamped “Jedi Training: Trials of the Temple,” introducing characters from Star Wars Rebels. Disney’s also added to their Star Tours ride, featuring a brand new scene from The Force Awakens. Now you just have to be lucky enough to pull that scene from the randomized set that gets placed into every ride. Good luck with that. —alright, geez. Fine. You don’t have to get so mad, Solo. You can expect Disney World’s additions to be open on December 1st and Disneyland’s Seasons of the Force to open a bit earlier on November 16th.